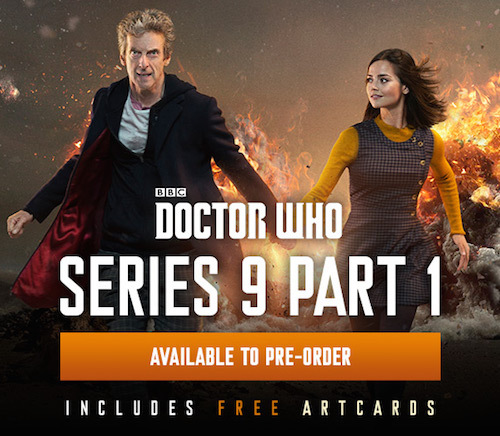 This week, new details have been released about episodes two and three of Doctor Who Series 9, Under The Lake and Before The Flood. 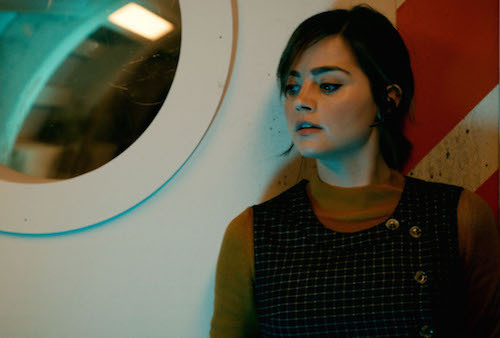 Doctor Who Magazine has spoken to writer Toby Whithouse who reveals a connection with his previous story, The God Complex. That 2011 Matt Smith episode featured Gibbis (played by David Walliams), from the planet Tivoli. His new two-parter also features a Tivolian - Prentis (played by another comedian, Paul Kaye). Before The Flood also includes an Arcateenian, which was introduced in a Torchwood episode, Greek Bearing Gifts, also written by Whithouse (the alien also appeared in the very first story in The Sarah Jane Adventures). DWM 491 (on sale now, details HERE) also reveals that the episode is set in a mining base, in Caithness, Scotland in 2119. As posted earlier today, Executive Producer Brian Minchin stated that Before The Flood is set "a few hundred years" before Under The Lake. In this week's Radio Times (out now, details HERE), we discovered that the line, "It's impossible! It's evil! I hate it! It's astonishing! I want to kiss it to death!" is used in Under The Lake.